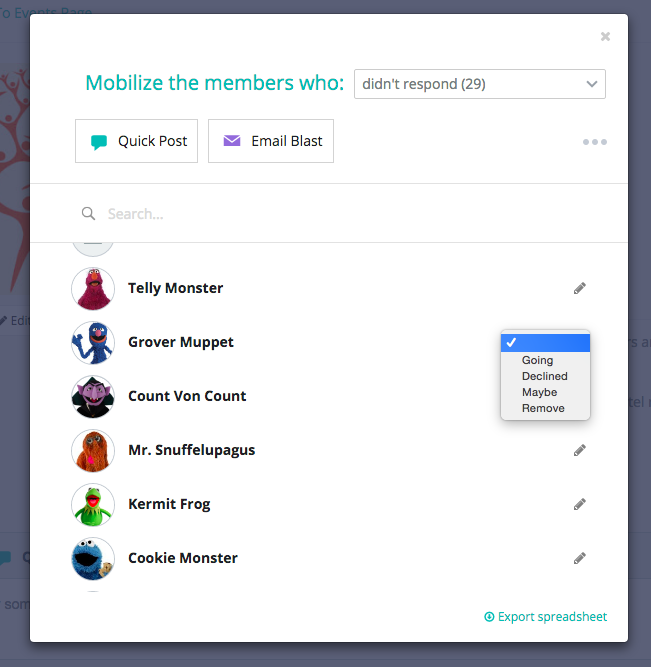 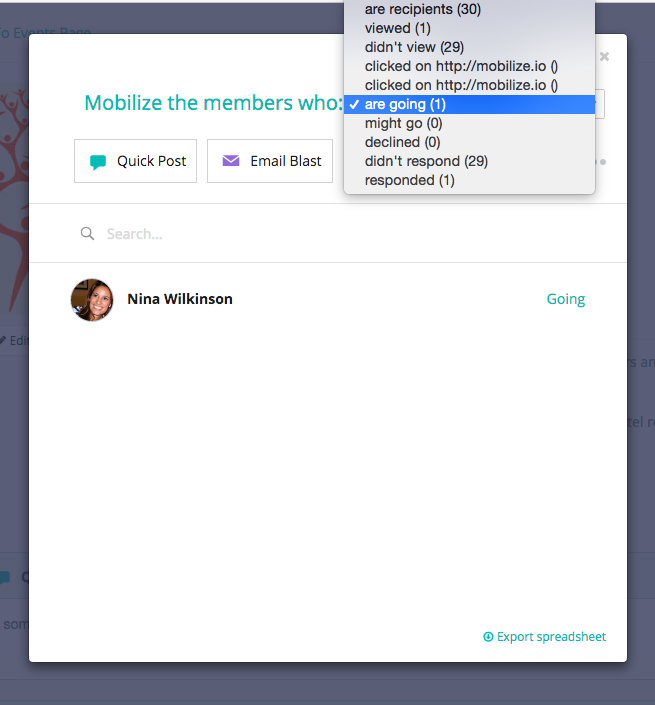 Once you've created your event, you can continue to add or remove event attendees. 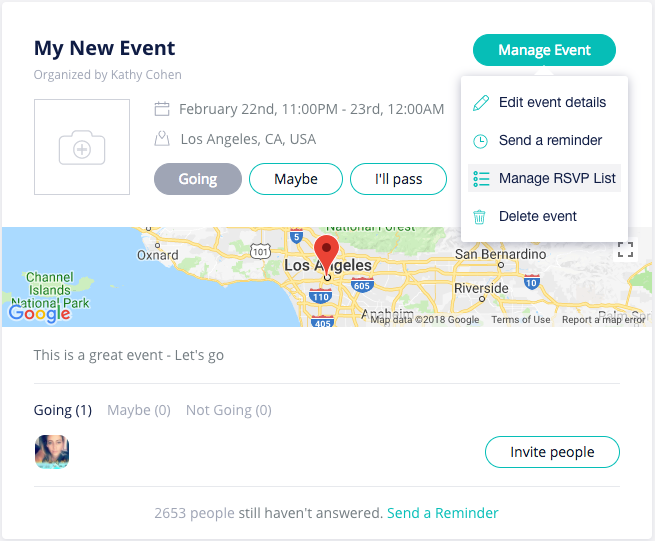 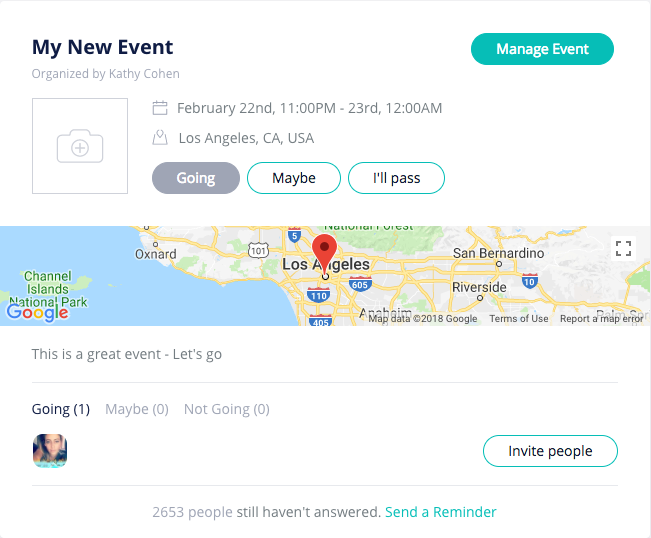 You can also edit their RSVPs on their behalf. 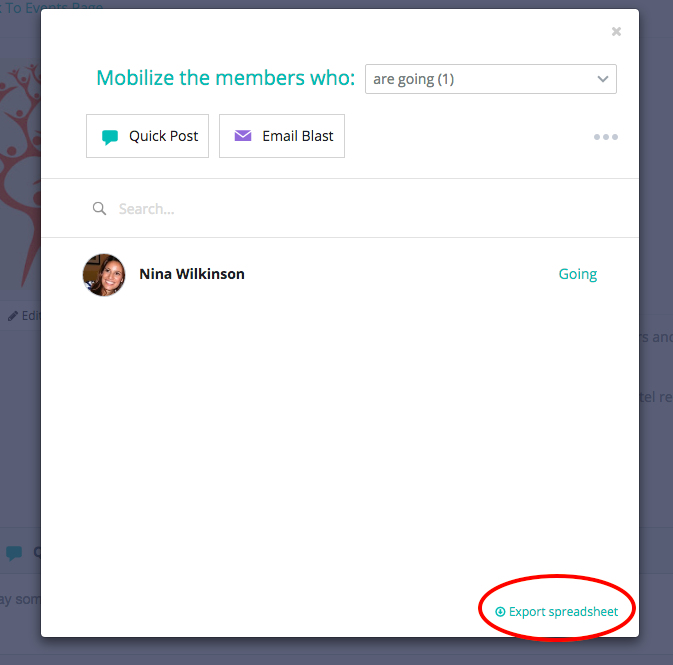 To edit the event attendees, go to the event page and click the event you want to edit. 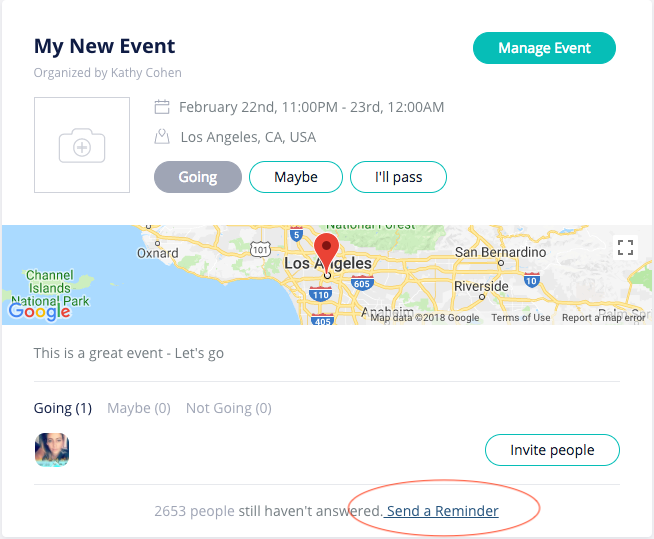 To delete the event, click the "Manage Event" button and choose Delete Event.